A brisk, refreshing, woodsy scent reminiscent of freshly-cut trees in an aromatic forest. Rich, powerful fragrance of refreshing blue cedar wood, aromatic cypress and a citrus zest for an invigorating, eye-opening shower experience. 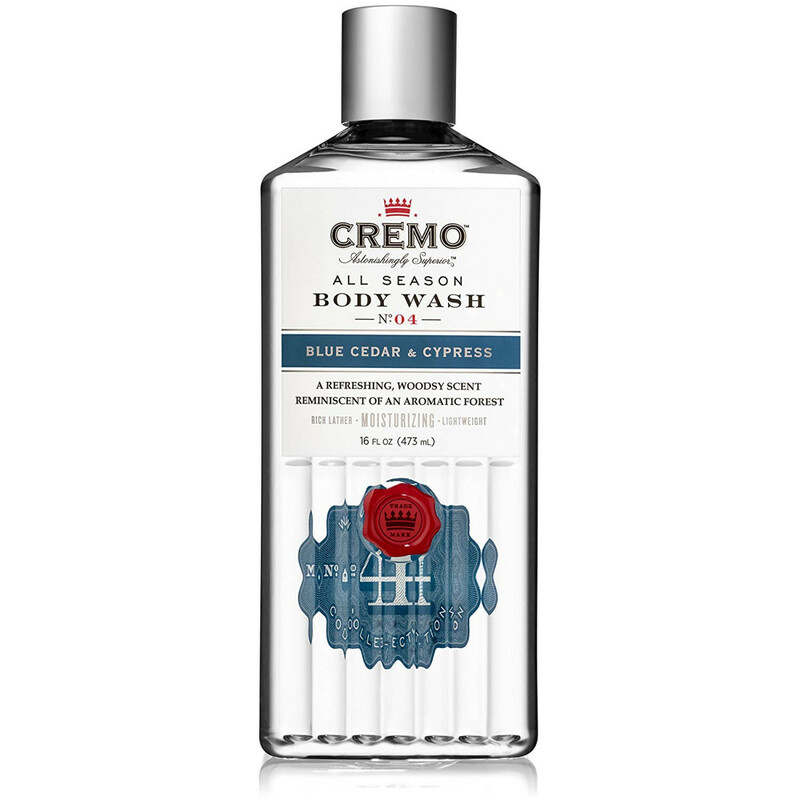 Cremo All Season Body Wash fragrances are layered and complex, so they evolve as you shower, revealing the richness and depth of the top, middle and base notes. In summer you want a crisp, light-weight feeling that tells you you're clean and fresh; in winter you want that richer lotion finish telling you moisturizers are at work to help keep your skin from drying out and itching. 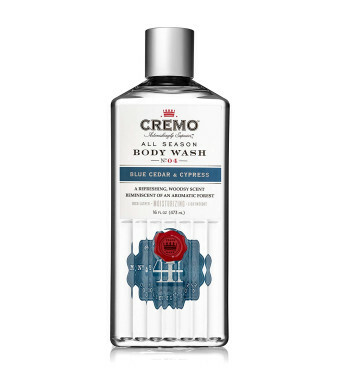 Cremo All Season Body Wash is balanced to give you both. Cremo All Season Body Wash contains marula oil to deliver a just right balanced formula so youll feel thoroughly moisturized, without that heavy waxy feeling perfect in any season. The rich, powerful fragrance of refreshing blue cedar wood, aromatic cypress and a citrus zest. It's a scent you'd expect to find at a high end boutique without having to find yourself at a high end boutique. Cremo All Season Body Wash fragrances are layered and complex so they evolve and change during your shower as the different notes are revealed. Plus, Cremo All-Season Body Wash contains marula oil to nourish your skin in all seasons. It washes off easy and clean while leaving a rich, moisturizing barrier without that heavy, waxy feeling. That's good uncommon scents.